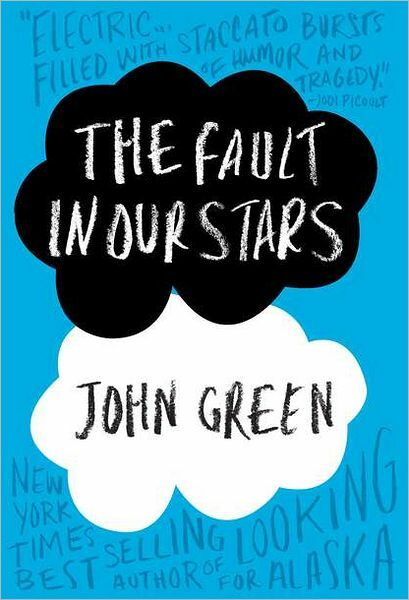 In John Green’s book The Fault in our Stars, sixteen-year-old Hazel, who lives in Indianapolis, Indiana, is diagnosed with lung cancer. Hazel realizes that cancer is just a side effect, and one day she is going to go off like a bomb and hurt her loved ones. One day, she meets a charming seventeen-year-old named Augustus, who had osteosarcoma a year ago at her cancer support group. She likes him but does not dare to get any closer to him. As time goes by, Hazel finds herself spending more time with Augustus. She introduced her favorite book, The Imperial Affliction by Peter Van Houten to Augustus. After reading the book, Augustus tries to contact the author and succeeds. Unlike Hazel who has been trying for years, Mr. Van Houten replies to Augustus saying that if they could visit him in Amsterdam, he would tell Augustus and Hazel what happens after the character dies. Augustus purchases tickets for Amsterdam for him and Hazel. At Amsterdam, Hazel and Augustus have the time of their lives enjoying the fantastic views and a fine restaurant. Afterwards, they go and meet up with the author. The information about what happens after the character dies was very disappointing. On the way back, Augustus tells Hazel that he recently went to the doctor and he is very ill. Hazel is shocked and devastated about the news. In the end, Hazel finds Augustus’ last words for her. When I read the first few chapters of this book, I was intrigued by the characters’ backgrounds. The fact that the characters have cancer is already interesting because I would like to see how a cancer survivor thinks, deals with frustration, and life is amusing. This book is an excellent page turner. One of the weaknesses in this book is that there is a bunch of conversation, and it is sometimes hard to keep track who is talking to who, and about what. But John Green uses a good variety of vocabulary. Sometimes I had to stop and search up the words to know what the characters were talking about. I would say that this book is good for 7th or 8th graders. If I could go back in time and have a choice to choose this book again, I would. It is very romantic and funny with a big twist at the end. Out of ten stars, I would give this book a nine. This is an amazing book. 1. Why did Hazel’s mother come later than usual to pick up Hazel from her Support Group? 2. Why did Hazel get mad when Augustus puts a cigarette in his mouth ? 2a. Hazel was upset because seeing someone ruining their lungs was horrible when she wished she did not have lung cancer. 3. What is a “cancer perk”? 3a. A “cancer perk” is a priority for people with cancer. For example, like signed baseballs and free passes. 4. Why did Isaac kick the gaming chair when he just broke up? 4a. He was mad that Monica, his girlfriend, broke up with him because she could not take the fact that Isaac was getting eye surgery and is going to be blind after it. 5. How did Hazel get airplane tickets to get to Amsterdam? 5a. Augustus used his wish from the Wish Foundation as a gift to Hazel to meet her favorite author. 6. Why did Hazel try to smear the ink on the letter from the author? 6a. Hazel was trying if the letter was written by a real person. 7. How many suitcases did Hazel and her mother going to bring to Amsterdam? 7a. They brought only one suitcase. 8. Why did everyone look at Hazel when she was boarding on the plane when they announced the pre-boarding time? 8a. Everyone was looking at her because they knows that she has cancer due to her air tank on her cart. 9. How is Amsterdam like tree rings? 9a. As you go deeper into the center of the city, the older it is. Like how the center rings of a tree ring is the oldest ones. 10. Why is Hazel and Gus surprised by the way Peter Van Houten acted and his manners? 10a. Because Hazel and Augustus expected him to be kind and excited that they were here because of Peter’s book. 11. Why cannot Hazel pass the second level of the pyramid of Maslow’s Hierarchy of Needs? 11a. Hazel could not feel secure about her health which is the second level of the pyramid. 12. What happened a week after Hazel and Gus’ family had dinner together? 12a. Augustus goes to the ER with chest pain. 13. When Augustus’ mother called Hazel at three in the morning, what did Hazel think? 13a. Hazel knows that Gus was dead because of the incident from last night when Gus left the house and his G-tube could not go back in. 14. Who was Hazel made at when Gus died? 14a. Hazel was not mad at his friends who were not there, she was made at the universe because it gave Gus only a few years to live, but Hazel thinks that he deserved more. 15. What did Hazel say when she kisses Augustus’ dead body? 15a. Hazel said that everything was okay.